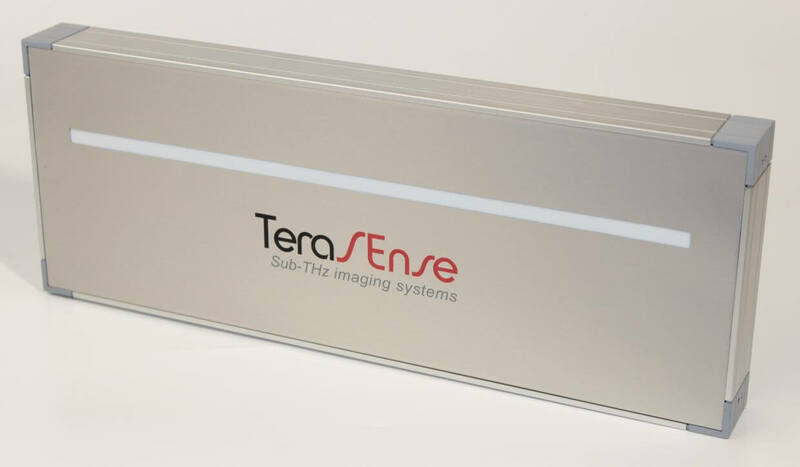 High Speed Linear THz camera is our brand new product, which features both, unprecedented imaging speed of 5000 frames per second and ease of integration into any industrial process. 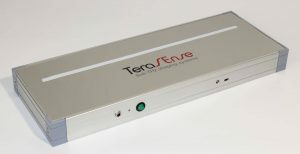 Its ultrafast linear sensor array is built to satisfy the needs in Non- Destructive Testing (NDT) and Quality Control (QC) for many industrial applications employing high speed conveyors belts. 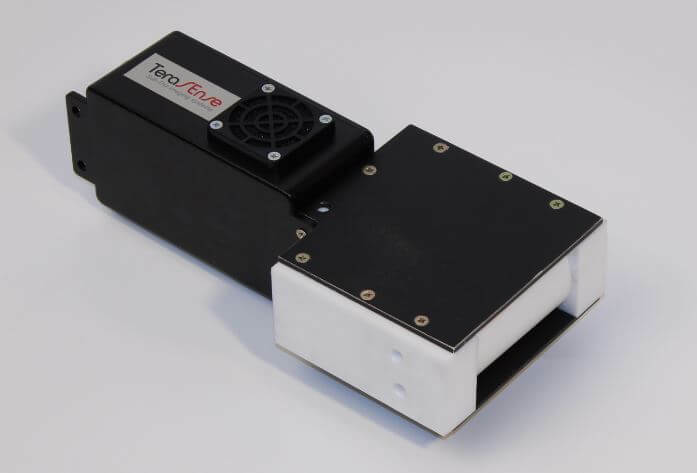 This product fits most conveyors with a belt speed up to 15 m/s.Our Linear Terahertz Imaging System consists of two parts: a terahertz imaging camera and THz generator, both optimized & synchronized to each other. 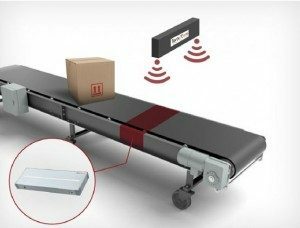 The generator is supplied with a specially configured horn antenna designed to cover the entire imaging area across conveyor belt. The horn spreads THz beam evenly and ensures that the whole THz radiation power is properly delivered from the generator into the camera. The camera pixel size determines image resolution of 1.5 mm, which is more than ample to support imaging in most industrial applications.